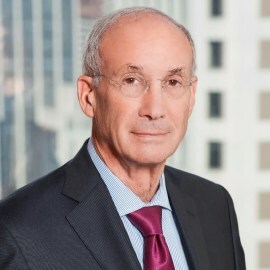 Vice-Chairman, The Wendy's Company; Board Member, Mondelēz International, Inc.
Peter W. May is President and a founding partner of Trian Fund Management, L.P. (“Trian”). Mr. May, along with Nelson Peltz and Ed Garden, founded Trian in November 2005. Trian invests in under-performing and undervalued public companies and looks to work constructively with the management and Board of Directors to create lasting shareholder value. Mr. May serves as the non-executive Vice Chairman of The Wendy’s Company. Mr. May is also a director of Mondelēz International, Inc. From May 2008 through May 2017, Mr. May served as a director of Tiffany & Co. From April 1993 through June 2007, Mr. May served as President, Chief Operating Officer and a director of Triarc Companies, Inc., which during that period of time owned Arby's Restaurant Group, Inc. and the Snapple Beverage Group, as well as other consumer and industrial businesses. Mr. May was President and Chief Operating Officer and a director of Triangle Industries, Inc. from 1983 until December 1988, the largest packaging company in the world and a Fortune 100 industrial company, when that company was acquired by Pechiney, S.A., a leading international metals and packaging company. Mr. May is the Chairman of the Board of Trustees of The Mount Sinai Health System in New York, where he led the turnaround of this major academic health center from serious financial difficulties to what is today one of the most profitable and fastest growing academic medical centers in the United States. In addition, Mr. May is a Trustee of The University of Chicago and a Life Member of the Advisory Council of The University of Chicago Booth School of Business. Mr. May is also an Advisor and a member of the Executive Council of No Labels, an organization that seeks to build a bipartisan centrist bloc in Congress, the Vice Chairman of the New York Philharmonic, a Director of Lincoln Center for the Performing Arts, a Trustee of the New-York Historical Society and a partner of the Partnership for New York City, as well as an honorary member of the Board of Trustees of The 92nd Street Y and was the past Chairman of the UJA Federation's "Operation Exodus" campaign. He is Chairman of the Board of The Leni and Peter May Family Foundation. A native of New York, New York, Mr. May received A.B. and M.B.A. degrees from The University of Chicago and is a Certified Public Accountant (inactive). Mr. May also holds an Honorary Doctorate in Humane Letters from The Mount Sinai School of Medicine of New York University.